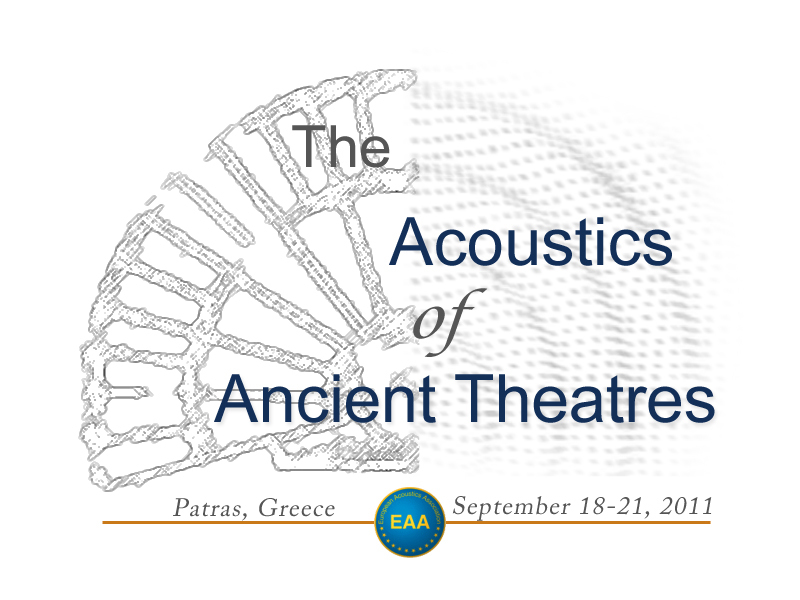 The Conference on The Acoustics of ancient Theatres is the first on this topic and is jointly organized by the European Acoustics Association (E.A.A.) and the Hellenic Institute of Acoustics (HEL.IN.A.) with the assistance of the E.A.A. Technical Committee on Room and Building Acoustics and the Italian Acoustical Association (A.I.A.). The Conference aims to bring together experts to present and discuss all aspects and findings related to the acoustic properties of these unique ancient monuments which are largely located around the Mediterranean region and are often still used for public performances of theatrical plays, drama, speech and music. There is an ever growing interest for the renowned acoustic performance of such outdoor and roofed auditoria which since ancient times had a significant contribution to the evolution of the art of live performance, being also an important foundation for the science of acoustic communication engineering. The Conference will be held in the city of Patras, situated is an attractive location in Southern Greece, with access and visits to the famous ancient theatre of Epidaurus and other Hellenistic and Roman era theatres and odeia. • Structured sessions to cover all aspects and geographical-historical evolution of ancient theatres.